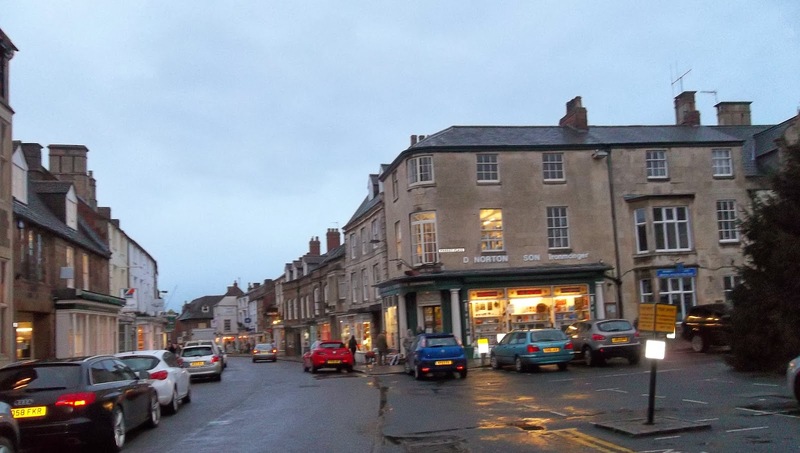 In case you are wracking your brains and just can't quite place it, Uppingham is a small town in Rutland, which is the smallest county in England. We visited last Saturday as my best friend, Maria, who now lives in Canada, was over here visiting family, so we met up with her and had a little wander round. 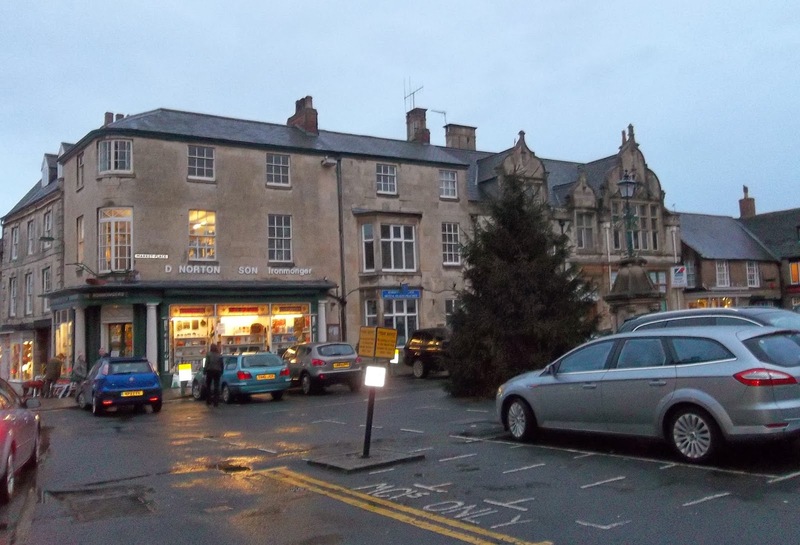 I have many memories of Uppingham as it was the nearest town to us when I was little and mum did most of her shopping there. Nowadays, it has quite a smart and upmarket feel to it - even the charity shops have their own coffee shops! Above shows the market square, with a wonderful traditional ironmonger's shop on the corner, which has an old plough above the door. The main street, snaking off into the distance. Here's a close up of the lovely stained glass at the ironmonger's shop. Here is Maria, doing a bit of window shopping. 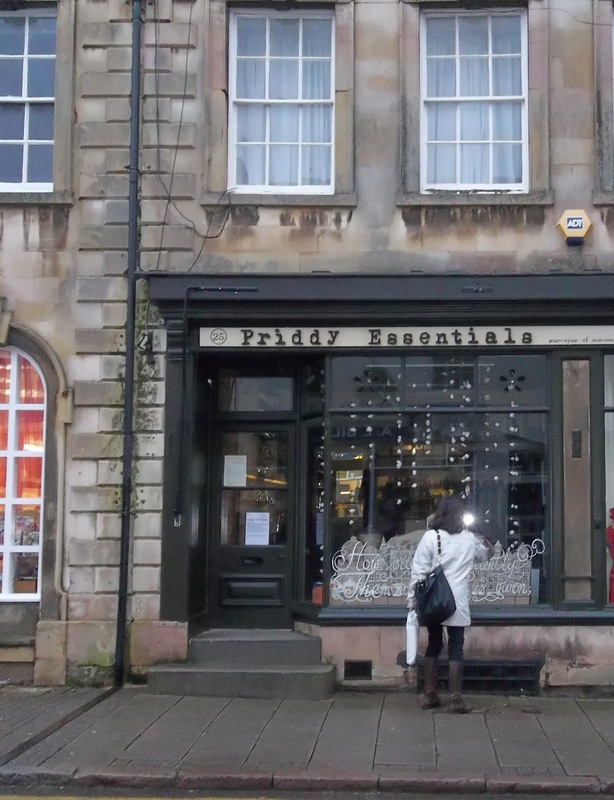 This shop also has many memories as it was the sweet shop when I was little and was painted pale blue, I think. Inside, the walls were lined with shelves on which were bottles, jars and boxes full of the most tempting things. My favourites were fruit salads, white chocolate mice and chewing nuts, while my sisters liked flying saucers, sherbet fountains, shrimps and floral gems. 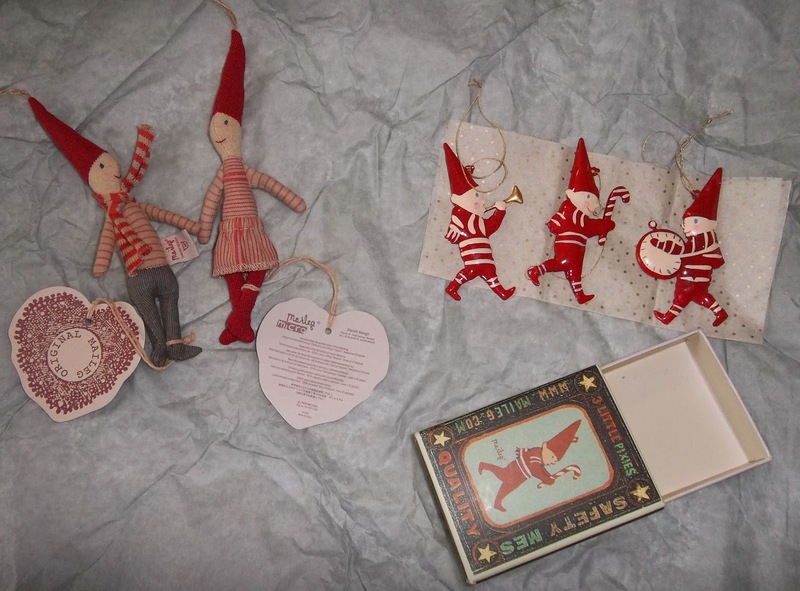 Well, we had to buy something to remind us of our trip, so while Maria bought some Cath Kidston and Emma Bridgwater textiles, we saw these little decorations (which were half price), so they came home with us and were on the Christmas tree for two days, before being packed away for next Christmas. When we get them out next year, we'll be reminded of a lovely day spent with a good friend in a pretty market town. Thanks, Tracy. It was a lovely day and I'm glad we have the decorations to remind us. I haven't seen my friend for two years, so it was great to meet up again. Looks a very pretty village.I love those goodies. Thanks, Joy. I'm glad you enjoyed the post. 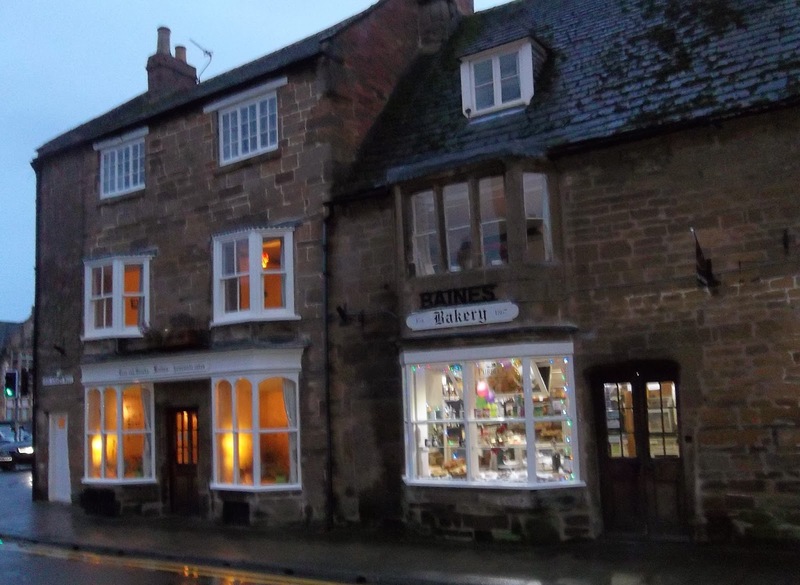 Uppingham is a very pretty place with lots of quirky shops and little alleyways. I don't visit as often as I would like to, but always have a lovely time when I do get there. All looks so cosy, I would love to do some shopping there ;-)! Thanks, Mirjam. It was a lovely visit and we enjoyed walking round and window shopping. The decorations fitted in very well with our tree and I will enjoy seeing them again next year. Thanks, Chel. Uppingham is a lovely little place - quite compact but really pretty. Oakham is also worth a visit - another lovely market town quite close to Uppingham, with a castle hall used as a court, with symbolic horseshoes on the walls. Some nice shops there too. I hope you enjoy your visits! 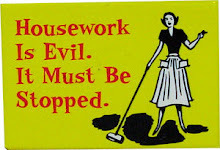 Hi Ellie, I came across your Uppingham blog whilst looking for something else ( as you do! ).Did you know that the plough over the ironmongers door has been there since at least 1850? 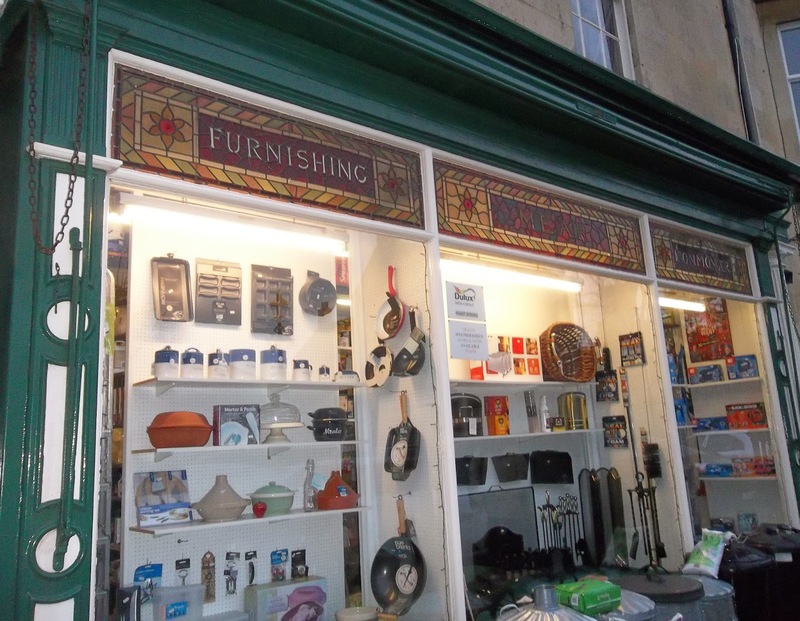 There is a photo of that period showing the ironmonger standing in his doorway. Ohyes... did you als know that the ironmonger back then was called... Samuel Foster? Thanks, Philip and welcome. No, I didn't know that the plough had been there since 1850, but I do remember it from when I was little (not quite so long ago)! I also didn't know the ironmonger's name (probably not a family connection, but really interesting), so thank you very much for the added information.